Hartlepool say they will "vigorously" seek compensation from Fulham for teenager Luca Murphy, who was released by Pools after a January move to the Premier League club fell through. 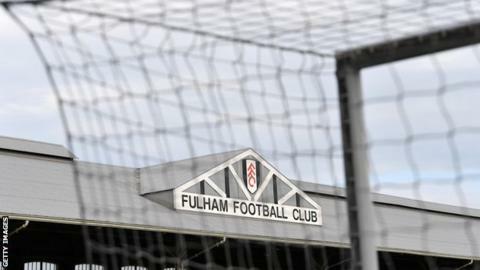 The 17-year-old defender joined Fulham on a professional deal on Friday. Pools say they were given "a list" of reasons why Murphy "wasn't good enough" to join Fulham earlier this year. The National League club subsequently let him go because, according to them, his "behaviour deteriorated". BBC Sport are yet to hear from Fulham after contacting the club for comment. Chief executive Mark Maguire said that having agreed a figure with Fulham in January "in good faith", the London club "ended their interest" after Murphy, who had been with Hartlepool since the age of nine, travelled to London to "get to know the facilities with a view to signing". In a statement on Hartlepool's website, he continued: "Subsequently, Luca's behaviour deteriorated to the extent that it was no longer appropriate to have him around our youth team, but when he left us, both he and his agent were made aware that we reserved our right to pursue compensation. "The behaviour of the player, his agent and Fulham FC leaves a lot to be desired, and that is an understatement. "We need the support of the football authorities to protect us against this kind of underhand behaviour." Maguire added that it was a "sad irony" that Fulham fans had only last year contributed to fundraising to help the then financially-stricken Pools. Raj Singh, Hartlepool's chairman, said the club would "protect" itself and "never again trust a club with the courtesy we showed to Fulham". He added: "It is pretty clear that he has been encouraged to behave in a manner which orchestrates this move. "Whether that is to save a few thousand pounds for a club earning over £100 million, or to earn an agent a fee, we will probably never know.